Hello, today was my 39th birthday, and a postwoman delivered a small parcel to me. The parcel was from California, USA. The story goes back to my high school days, over 20 years ago. I was looking for John Scully's Odyssey in a book store and happened to find Japanese translation of your book: The Other Guy Blinked. Since then, you have been my personal hero. And after I learned enough language skill to read books in English, I had been seeking the original copy of your book because unfortunately your book was out of print then. 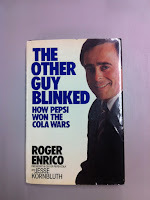 In the last year I finally found a second-hand copy of the book on the internet. This is the reason why the postwoman brought me a small and dirty (it travelled over sea) parcel today. Roger, let me say thank you from the bottom of my heart for writing this book. You have always been brilliant. PS. 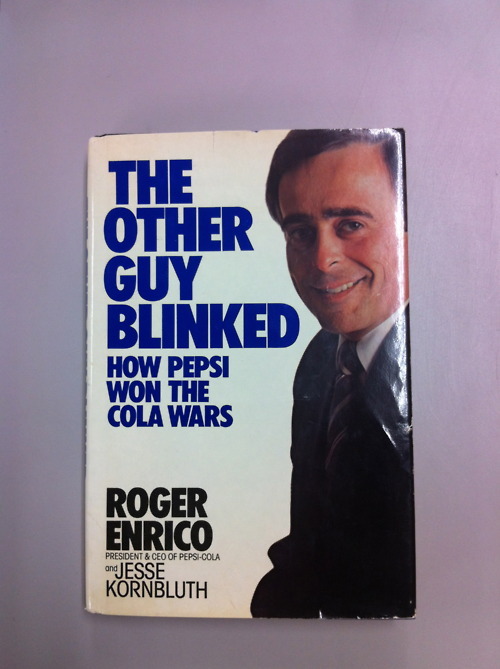 You wrote, A few months after I took over at Pepsi --- on November 11, 1983, my thirty-ninth birthday --- I signed the most expensive celebrity advertising contract in history: $5 million for the privilege of making two commercials and sponsoring a tour featuring a talented but shy young man who sang in a high-pitched voice and danced backwards. As today was my 39th birthday, I was so encouraged when I read your story and this part again.